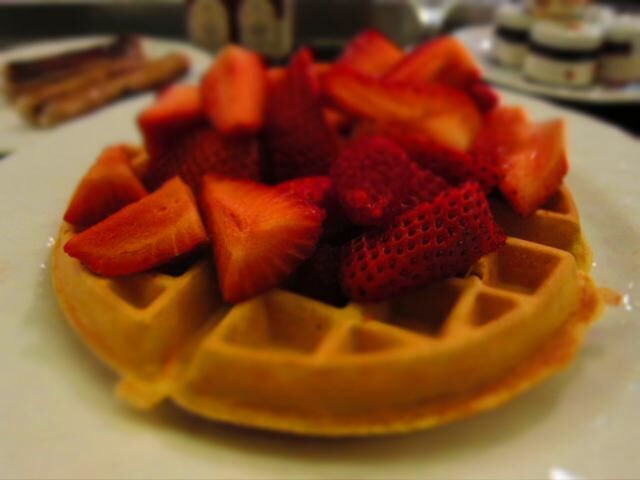 When I first moved to New York City, I was amazed that you could order giant waffles at just about any diner. It seemed that just by having it on the menu, it was considered a legitimate thing to order. Phil and I used to go to the Washington Square Diner, he'd get the lobster Fra Diavlo, and I'd get one of those enormous Belgian waffles. The Fountain Coffee Room at the Beverly Hills Hotel gives me that same feeling. I would only get the lobster fra diavolo to go. When I was eating in there, I would have the oysters and an english muffin. I really like the vibe of the Fountain Room. Milkshakes and tuna melts. The waiter gave me a BH Hotel pen (they're very handsome) and a tiny bottle of maple syrup to take to my son. Not as snooty as you might expect.